Indian death row prisoner Sarabjit Singh, who was comatose in a Lahore hospital after a brutal assault by four to five prisoners on April 26, succumbed to injuries on Thursday, officials said. “I received a call from the doctor on duty (at Jinnah Hospital) at 1am (1:30 IST) informing me that Sarabjit is no more,” Mahmood Shaukat, the head of a medical board that was supervising Sarabjit’s treatment, told PTI. Officials of the Indian High Commission in Islamabad said they had been informed by officials of Jinnah Hospital about Sarabjit’s death. Singh’s lawyer Owais Sheikh confirmed the 49-year-old’s death and said that his body “has been moved to the hospital mortuary”. The doctor who spoke to AFP said arrangements were under way for an autopsy. Singh sustained several injuries, including a fractured skull, when six prisoners attacked him on Friday last week, hitting him on the head with bricks. “(His death) was already feared. His condition was more than critical and he had less chances of survival,” Sheikh said. Sarabjit was on life support since April 26. Sarabjit slipped into a “non-reversible” coma on Wednesday. 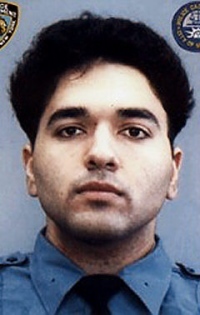 A source said Sarabjit’s heart was beating “but without brain function” because of the extensive head injuries he sustained when he was assaulted by prisoners at Kot Lakhpat Jail in Lahore. Sarabjit was completely unresponsive and unable to breathe without ventilator support. Sarabjit’s wife Sukhpreet Kaur, daughters Poonam and Swapandeep Kaur and sister Dalbir Kaur, who went to Lahore on Monday to see him, returned to India on Wednesday. On Wednesday, doctors treating Sarabjit at the state-run Jinnah Hospital said that his condition had further deteriorated though he had not been declared brain dead. Returning from Pakistan, Sarabjit Singh’s family accused the government of doing little for the death-row prisoner battling for his life after a brutal assault. “I am disappointed with the government. The Prime Minister should resign as he is not able to bring back an Indian citizen.You failed to protect your citizen… They (Pakistan) got freed (Pakistani citizen Dr Khalil) Chishti and you (India) released their other prisoners,” Dalbir said. 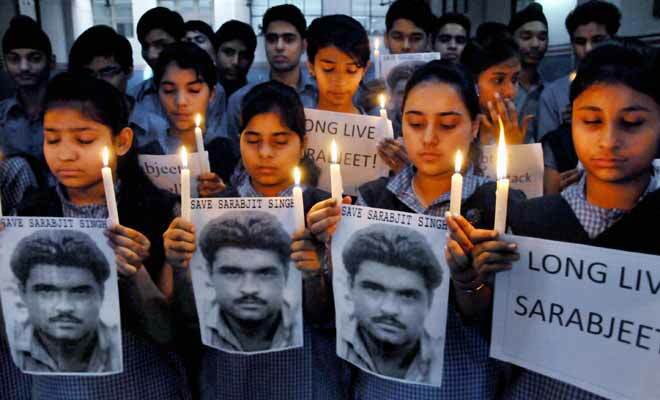 Dalbir had demanded that Sarabjit be brought to India immediately and given proper treatment. “I want the government to immediately step in. I want to bring him back. If Malala (Yousafzai) can be treated abroad, why not my brother. I have doubts about the treatment they are giving to him, but I have full confidence in the doctors back home,” Kaur said. The Human Rights Commission of Pakistan (HRCP) condemned the attack on Singh as a “dastardly act” and called on the government to make a thorough inquiry into the matter and punish the guilty persons. Sheikh earlier told AFP that his client had received threats following the execution of a Kashmiri separatist in India. Mohammed Afzal Guru was hanged in New Delhi on February 9 for his part in a deadly Islamist attack on the Indian parliament in 2001. His family insisted he was a victim of mistaken identity and had inadvertently strayed across the border in an inebriated state. Pakistanis for Peace Editor’s Note- Thus is another blow to peace between India and Pakistan. The attack on Sarabjit Singh and his subsequent death does little for trust and friendship building measures between the two nations. There have been protests in India after an attack in a Pakistani prison left convicted Indian spy Sarabjit Singh in a coma. Singh, a high-profile prisoner on death row for more than 21 years, was attacked by inmates armed with bricks in Lahore’s Kot Lakhpat jail on Friday. Singh is in intensive care with severe head injuries. Two inmates have been charged and two officials suspended. Indian PM Manmohan Singh described the attack as “very sad”. Former foreign minister SM Krishna said a strong protest should be lodged with Pakistan. He said such conduct should not happen “in a civilised world”. Protests erupted in the city of Jammu, in Indian-administered Kashmir. India’s government informed Sarabjit Singh’s family that Pakistan had granted visas for four family members to visit. His sister, Dalbir Kaur, told AFP: “We want to be with Sarabjit in this difficult time. He is all alone.” Sarabjit Singh was reportedly attacked as he and other prisoners were brought out of their cells for a one-hour break. Two prisoners have been charged with attempted murder. The BBC’s Jill McGivering says that over the years the Singh case has been raised at the highest political levels and his fate has often seemed caught up with the broader relationship between India and Pakistan. Sarabjit Singh was convicted of spying for India and involvement in a series of bomb blasts in 1990 in which 14 people died. His family say he is innocent and merely strayed across the border in Punjab by accident. Tensions have increased in the past six months with the execution in India of Kashmiri Afzul Guru over the attack on India’s parliament 11 years ago and of Mohammed Ajmal Qasab, the sole surviving attacker from the 2008 Mumbai attacks. Sarabjit Singh’s lawyer Owais Sheikh told AFP his client had received threats after Guru’s execution. Pakistanis for Peace Editor’s Note– Another sad chapter in the depressing Pakistani-Indian saga. We hope that Sarabjit Singh is able to recover and Pakistan needs to release him to Indian custody. Whether he truly is a spy or not, he has served his time and now needs to be released to Indian custody in a goodwill gesture towards India. On Sunday, former military dictator Pervez Musharraf was at last given permission to run in the parliamentary elections scheduled for May 11, but only in the northern district of Chitral. Two other districts rejected his nomination papers, and his application in Islamabad is still pending. 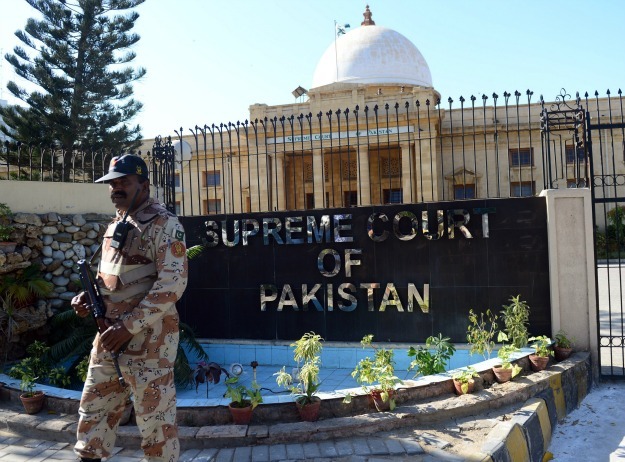 Elections officials in Pakistan, acting under directives of the country’s Supreme Court, have excluded several candidates — among them Musharraf — from running in the elections. This pre-selection of candidates is based on controversial Articles 62 and 63 of the Constitution, decreed by military ruler General Zia ul-Haq in 1985 as part of his Islamization agenda. These articles forbid anyone who does not meet the test of being a good Muslim or patriotic Pakistani from becoming members of Pakistan’s parliament. Until now, the highly subjective criteria of these provisions have never been implemented in practice. This time around, the Election Commission of Pakistan has allowed officials in each parliamentary district to vet candidates. The result is a mish-mash of arbitrary decisions. Almost 100 members of the out-going legislatures, many of them deemed popular enough to win re-election, have been disqualified for producing fake college degrees at the last poll, when the generals mandated the possession of one as a pre-condition for membership in parliament. The law was changed by parliament in 2008 and it is questionable why, after serving for five years, these politicians are being challenged now. Former Prime Minister Raja Pervez Ashraf was disqualified on grounds of unproven corruption allegations. Musharraf was barred from running in two districts while being found sufficiently sagacious in another. The leader of the opposition in the outgoing parliament, Chaudhry Nisar Ali, was similarly found to be lacking in the criteria in one district where he filed his nomination papers, while being allowed to run in another. The pre-qualification conditions have adversely affected liberal candidates while favoring Islamist ones. Columnist Ayaz Amir, who is part of former Prime Minister Nawaz Sharif’s Pakistan Muslim League, has been disqualified from running as a candidate because he wrote articles that were “disparaging” about the ‘ideology’ of Pakistan. Militant and terrorist leaders have had no problem in meeting the litmus test of religiosity and commitment to Pakistan’s ideology. Nomination papers for Maulana Mohammad Ahmad Ludhianvi, who heads Ahle Sunnat Wal Jamaat, a reincarnation of a banned terrorist organization, were cleared even though he has publicly acknowledged his role in the killing of Shias in the country. In addition to facing discrimination from election officials, liberal politicians must also contend with threats from terrorists – threats that have not persuaded the judiciary or the permanent state apparatus to enhance security for these politicians. 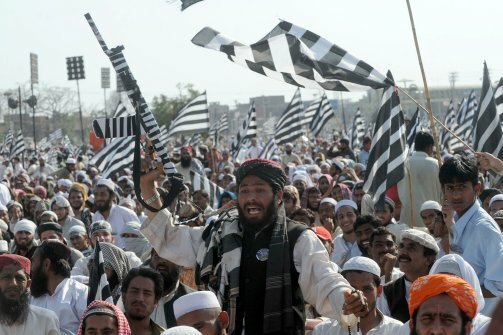 Tehrik-e-Taliban Pakistan (TTP) has warned that candidates and rallies of ‘secular’ parties like the Pakistan People’s Party (PPP), Muttahida Qaumi Movement, and Awami National Party (ANP) would be targeted, and the targeting has already begun. The ANP lost one of its finest leaders, Bashir Ahmed Bilour, a few months ago. The TTP took credit for the murder. The elimination of liberal political figures must be seen as part of the process of creeping Islamization, as well as the permanent militarization of Pakistan, which began during Zia ul-Haq’s military dictatorship. Using Islam and a narrow definition of patriotism to limit the options available to voters is nothing new. It is a direct outcome of Pakistan’s long history of dominance by unelected institutions of state, euphemistically referred to as the ‘establishment.’ In addition to existing under direct military rule for half its life as an independent country, Pakistan has always lived in the shadow of the ubiquitous influence of generals, judges, and civil servants. No elected parliament was ever allowed to complete its full term until this year. But instead of allowing voters to choose the new government in a free and fair election, the establishment wants to make sure that the voters have only limited choice at the polls. A direct military coup is no longer feasible. The politicians, led by President Asif Zardari, have foiled bids by the judiciary to virtually become the executive. The battle between elected leaders and unelected judges has come at great cost to several outspoken individuals in the country’s politics. Now, an election with pre-qualification could ensure the establishment’s supremacy without overtly pulling back the democratic façade. From the establishment’s perspective, Pakistan’s politicians cannot be trusted to lead or run the country even if they manage to get elected by popular vote. The political system must somehow be controlled, guided, or managed by the unelected institutions who deem themselves morally superior and even more patriotic than those supported by the electorate. This patrician approach is reflected in the assertions of Generals Ayub Khan (1958-69), Yahya Khan (1969-71), Zia ul-Haq (1977-1988) and Musharraf (1999-2008) at the time they took power in coups d’état. It can also be found in the constant efforts by Supreme Court judges and civil servants to second-guess the people by deciding who is and who is not eligible to run in elections. General Zia ul-Haq created structures for limiting democracy that would outlast him. He drastically changed the constitution and legal regime in ways that have proved difficult to reverse, even a quarter century after his death. The outgoing Pakistani parliament completed its term and amended the constitution to make it closer to what it was originally intended to be. But the Islamic provisions introduced by Zia ul-Haq persist, enabling the establishment to use Islam as an instrument of control and influence over the body politic. Both constitutional provisions provide considerable leeway to an ideological judiciary to influence the electoral process and exclude critics of the establishment from the next legislature. The recent celebration and positive commentary over parliament completing its term should not distract us from an ugly reality. Pakistan’s establishment may have refrained from another direct coup, but it is still far from accepting the basic premise of democracy – the supremacy of parliament among institutions and the right of the people to vote for whomever they choose. Farahnaz Ispahani is a former member of the Pakistani parliament and former Media Advisor to President Asif Ali Zardari, as well as a writer and minority rights advocate. A self-confessed peddler of nuclear weapons, a sport star turned messiah, a Saudi proxy who once wished to declare himself the Shadow of God on Earth—these are just some of the candidates in Pakistan’s upcoming national elections. Much rides on the May elections, which, if they take place as planned, will mark the first-ever transition in Pakistan’s history from a fully civilian elected government to another. The path to revival or ruin for this nuclear-armed nation of some 180 million will depend on the results of what is shaping up to be a highly contentious—and dangerous—race. At stake is how Pakistan will deal with the looming withdrawal of U.S.-led forces from Afghanistan, where Pakistani generals fear India will establish a foothold. Then there is the issue of the state’s inchoate policy toward the al Qaeda and Taliban terror franchises that has cost Pakistan some 49,000 lives since the 9/11 attacks. Add to that the economic mess—food and fuel shortages, unemployment, inflation, mounting costs from the war on terror, running deficits from voter-pleasing social welfare and development schemes—and the electorate’s not surprising loss of faith in Parliament. And terrorists, especially the Pakistani Taliban, have threatened to disrupt the elections through intimidation and assassinations. Among their avowed targets: President Asif Ali Zardari and his Pakistan Peoples Party (and their political allies, which are also deemed liberal and pro-American) as well as former president and Army chief Pervez Musharraf, who recently ended his four-year self-exile and returned to Pakistan. The Election Commission has pleaded with the Army to help keep the peace on May 11. But already, the violence is taking its toll. On Sunday, a bomb disrupted the campaign office belonging to a Zardari ally in northwestern Pakistan. Two were killed, and at least five injured. 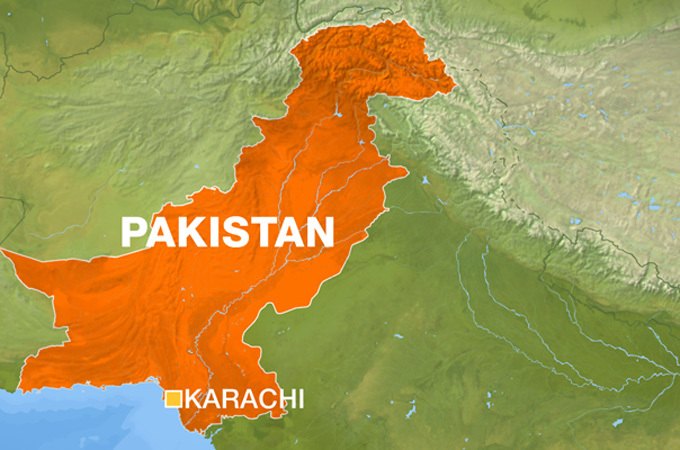 The Pashtun-dominated party is also being bloodied by drive-by bombings in Karachi. Earlier this month, the district election commissioner of Quetta was shot dead, and pamphlets warning citizens against voting have been menacingly strewn across Baluchistan province. At the same time, terrorists have promised not to disrupt the prospects of cricket legend Imran Khan or the Pakistan Muslim League (NAWAZ), a party strategically allied with sectarian and terrorist groups for electoral muscle. This time, 86.1 million Pakistanis—more than a third of them between the ages of 18 and 30—are registered to vote at polling stations across the country. The Election Commission has allowed some 148 political parties to run, allotting symbols to each party to help voters who cannot read. Nuclear salesman A.Q. Khan’s party, for example, has been given a missile; Imran Khan’s, a cricket bat. With more than 10,000 candidates nationwide, the polls will present Pakistanis with a range of options to choose from. The left—which wants social freedom and liberties, peace with India, a laissez-faire approach to Afghanistan, continued strong relations with the U.S., and curbs on the Army’s power—is led by the Pakistan Peoples Party and its allies. The right—anti-India, anti-America, and preaching the importance of religion in political life—is represented by Imran Khan and his party, the Pakistan Tehreek-e-Insaf; Saudi-backed former prime minister Nawaz Sharif and his Pakistan Muslim League, as well as smaller religious parties. The fringe is occupied by Musharraf, A.Q. Khan, and the political divisions of militant groups that have also been allowed to run. According to the most recent polls, if elections were held today, they would yield a hung Parliament, and thus require expert coalition building. That in turn would mean that candidates spearheading smaller parties—candidates such as Imran Khan—will become kingmakers, handed disproportionate power to decide Pakistan’s future. Fasih Ahmed is the editor of Newsweek Pakistan. He won a New York Press Club award for Newsweek’s coverage of Benazir Bhutto’s assassination. Ahmed was also the inaugural Daniel Pearl fellow and worked at The Wall Street Journal’s Washington, D.C., bureau in 2003. He graduated from Columbia University and lives in Lahore. 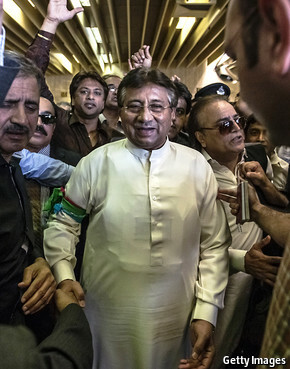 PERVEZ MUSHARRAF, a former army dictator and president of Pakistan, returned from London on March 24th to the country he once commanded, after an absence of more than four years. He finds not a trace of the power and significance he once wielded. He came, he said, to contest elections, scheduled for May 11th, and “to save Pakistan”. Though the country could certainly do with rescuing, Mr Musharraf faces stiff competition among those offering themselves as saviour. They include a former prime minister and his bitter enemy, Nawaz Sharif, and a notable cricketer-turned-politician, Imran Khan. Meanwhile, the outgoing government of the Pakistan Peoples Party achieved little, but its re-election is not out of the question. A small crowd of supporters gathered at Karachi airport to welcome Mr Musharraf. “I cry when I see the state of Pakistan today,” he blustered. The rally his people had planned that evening had to be cancelled, apparently for security reasons. That may have been just as well: participants looked likely to be few. Mr Musharraf lacks popularity and a political base. He also faces threats from the Pakistani Taliban and allied extremist groups. In office, he survived two well-planned assassination attempts. He will now have nowhere near the level of security that saved his life then. The Pakistani Taliban threatens a special squad that will “send Musharraf to hell”. When Benazir Bhutto returned from exile to Pakistan in October 2007, extremists bombed her motorcade after it left Karachi airport, killing around 140 people. She was unhurt in that attack. But a suicide bomber at a rally assassinated her two months later. Mr Musharraf seized power in 1999 after the prime minister at that time, Mr Sharif, tried to sack him as army chief. He ruled Pakistan, first just as a general and later as president, until 2008, when rising unpopularity forced him to hold elections that his party lost. He also faces a series of court cases in Pakistan and was careful to arrange pre-arrest bail before arriving. He is accused in the Bhutto murder case (though no direct evidence implicating him has emerged), as well as over the killing of a tribal leader, Akbar Bugti. And then he faces charges of treason, too, for staging his coup in 1999. It was under Mr Musharraf that extremists turned on the state, after the attacks of September 11th 2001 led him to forge an alliance with America. Yet Mr Musharraf never turned on all militant groups, some of which operated with a degree of latitude. The Pakistani Taliban even seized a territory in the heart of the country, Swat. Pakistan enjoyed a period of rapid economic growth during his time in office, but it was a bubbly time for Pakistan, and the bubbles burst as Mr Musharraf was leaving office. At least he managed to keep prices under control, especially for food. Mr Musharraf is a big name internationally, but within Pakistan he now seems an irrelevance. His presence may become a sideshow in this election season. More watched now will be the campaign of Imran Khan, who staged a huge rally on March 23rd in Lahore, Pakistan’s second city. After suddenly growing wildly popular in late 2011, with a promise of a new politics to break the established and corrupt two-party system, Mr Khan has lost much momentum in recent months. His showing in Lahore was an attempt to regain the initiative—and it proved that he can still pull a crowd. Mr Khan will win votes across the country but, with Pakistan’s first-past-the-post system, it may not translate into many seats. This election, assuming it takes place, will mark the first time that one elected government completes a full term and hands power over to another. That is something, but the job of saving Pakistan remains, as ever, up for grabs.